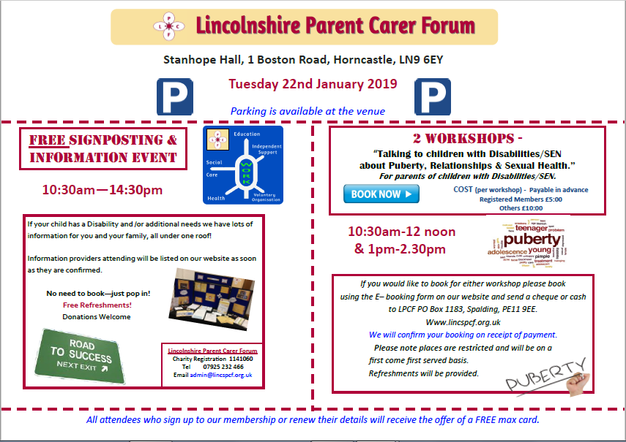 We recommend that Parents / Carers, with children who have Special Educational Needs, sign up to the Lincolnshire Parent Carer Forum! On Tuesday 22nd January, there is a signposting event to other support available for children with Special Educational Needs at Stanhope Hall, in Horncastle - see the flyer attached. Please speak to Miss Gladding if you have any questions.